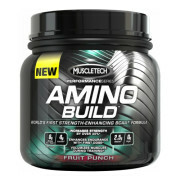 Combines 7 Cutting-Edge Ingredients Into One Insane Formula! A cocoa seed extract that works with caffeine and other ingredients in SX-7 for a truly sensory experience. Raspberry ketone – Raspberry ketones are the primary aroma compound of red raspberries. 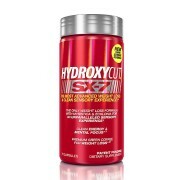 Hydroxycut SX-7 contains only premium raspberry ketones. To assess your tolerance, follow the chart provided. Once your tolerance has been assessed, take 1 capsule with 8 oz. water 2 times daily 30 to 60 minutes before your two largest meals of the day (e.g. breakfast and lunch). Once tolerance has been assessed and you are looking for an additional boost of energy, take an additional capsule with the first serving of the day. 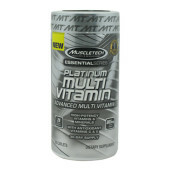 Do not exceed 3 capsules in a 24-hour period. 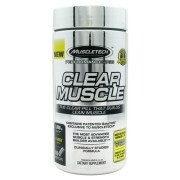 For best results, use for 60 days in combination with diet and training. Day 1 & Day 2 – 1 capsule, 1x daily. Day 3 & Beyond – 1 capsule, 2x daily. 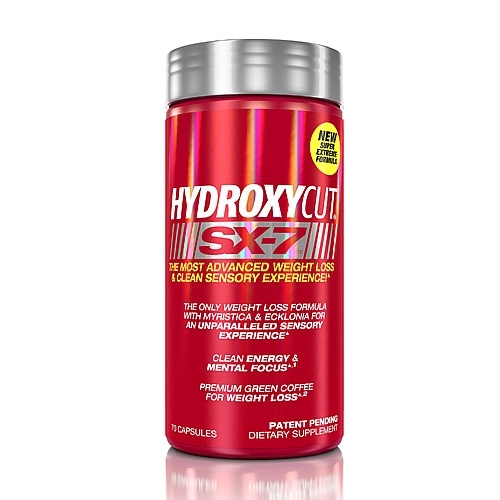 In one study, subjects taking the primary ingredient (green coffee extract) in Hydroxycut SX-7 for 60 days lost, on average, 10.95lbs. versus the placebo group, which lost an average of 5.40lbs. Both groups followed a low-calorie diet. In a separate 8-week study, subjects using green coffee lost an average of 3.7lbs. versus subjects using a placebo, who lost an average of 1.25lbs. * Both groups followed a calorie-reduced diet and performed moderate exercise. To assess your tolerance, take 1 capsule 1 time a day for Days 1 and 2. On Days 3 and 4, take 1 capsule 2 times a day. Once your tolerance has been assessed, take 1 capsule with 8 oz. of water 2 times daily 30 to 60 minutes before your two largest meals of the day (e.g. breakfast and lunch). Once tolerance has been assessed and you are looking for an additional boost of energy, take an additional capsule with the first serving of the day. 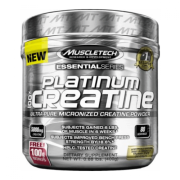 Do not exceed 3 capsules in a 24-hour period. 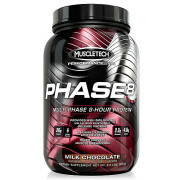 For best results, use for 60 days in combination with diet and training.